I recently found a XSS bug in Microsoft payments page. Initially I thought, it was only a simple URL redirection bug and reported the same. Then I realized that it is a XSS bug. 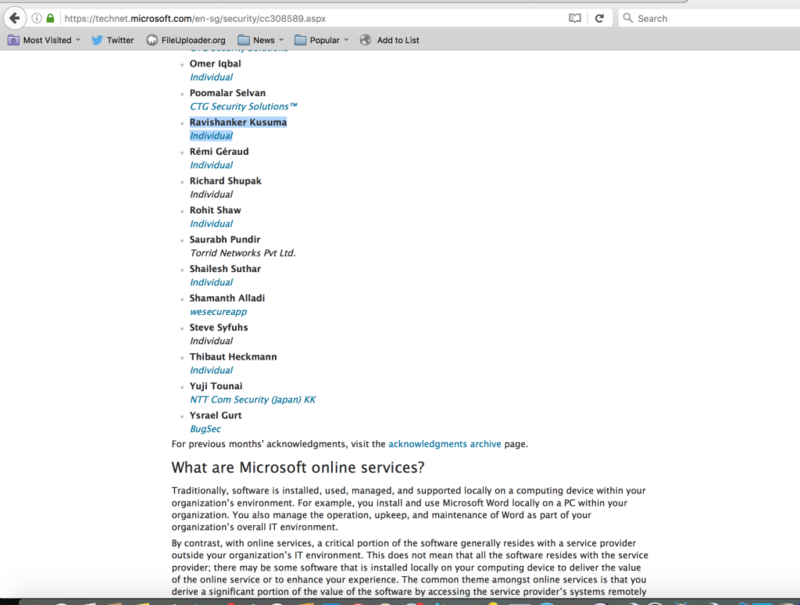 Microsoft Hall of fame security researchers page. I reported the bug on March 12th and it was fixed on April 4th 2016. Watch the below video explains more about the bug.